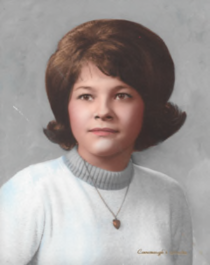 Phyllis M. Ryan, 68 , of Auburn, passed away December 15, 2018 at Strong Memorial Hospital, following a long illness. Born in Auburn on July 17, 1950, Phyllis was affectionately known as “Tiny” by her family and friends. She was the daughter of the late George and Mary Smoke Woodman. Tiny retired from Standart Woods Apts after 23 years of employment. She took pride in beautifying her home, doing her own landscaping and interior decorating. Tiny enjoyed vacations with her husband to her favorite destinations in Florida and the Caribbean. Most of all she loved the time she spent with her family, especially her two grandchildren. Tiny is survived by her loving husband of 49 years, Thomas Ryan, her two children, Ronald Ryan (Patty Soltis) and Daniel Ryan, her two grandchildren, Hailey Ryan and Evan Ryan, her brothers, Phillip, Doug (Sue) and Carl (Bonnie) Woodman, her sister Kathy (Kevin) Holmes, several nieces and nephews and her beloved cat, Taylor. Calling hours for Tiny will be held on Friday, December 21 from 4-7 pm at White Chapel Funeral Home, Inc. 197 South St., Auburn. A funeral service at the funeral home will be held on Saturday at 9:30 AM. Interment will follow at St. Joseph’s Cemetery, Auburn.